This month saw the return of E3, the world’s premier event for computer, video and mobile games, to a packed convention centre in Los Angeles. Many of the gamers in attendance were brimming with anticipation at getting a first glimpse of Square Enix’s latest instalment of the Tomb Raider franchise – Shadow Of The Tomb Raider. Unfortunately for any die-hard Lara Croft fans out there, all that anticipation turned out to be a bit of a damp squib. Compared with previous years, Square Enix had a relatively quiet E3 and chose to announce just one major new game in the form of Life Is Strange: Before The Storm, a prequel to the original Life Is Strange released back in 2015. 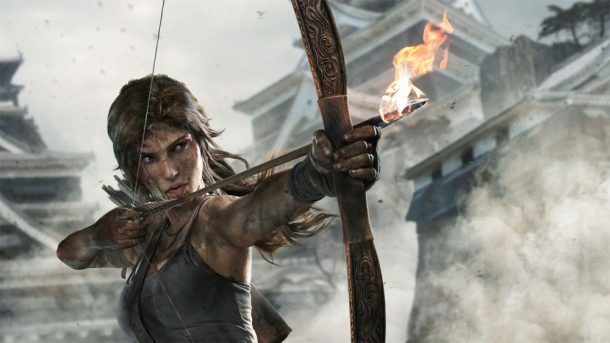 But while the official unveiling of this new title was met with positive reactions, inevitably much of the talk about Square Enix’s showing turned to the absence of Tomb Raider. If you think back to all the hype surrounding the rebooted Tomb Raider series when it was first announced back in late 2012, it was always going to be difficult to match the momentous impact of the original 90s series released on Playstation. 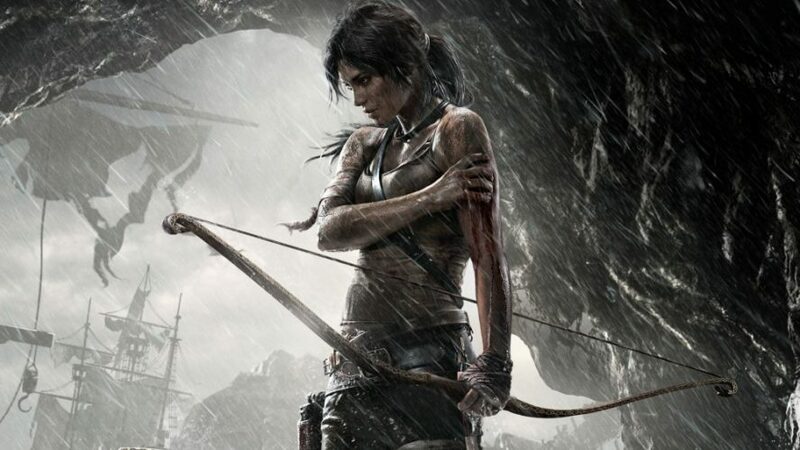 As it turned out, the decision to reconstruct familiar elements from the original and dig deeper into Lara Croft’s backstory, rather than setting out a whole new storyline, proved to be a masterstroke. You’d have to say that 2013’s Tomb Raider lived up to all the hype – and then some. A couple of years later saw the release of the follow-up, Rise of the Tomb Raider, which was also met with plenty of critical acclaim among gamers and reviewers alike. The second instalment continued to build on the key elements that had made its predecessor so successful, including similar gameplay and adding a fresh variety of environments, combat options and weapons in the process. That can only be a good thing, right? The game also drew plaudits for its graphic design and characterization of Lara Croft. In fact, if you look at the entire Tomb Raider series as a whole, Rise of the Tomb Raider gives Croft unprecedented depth, humor and self-deprecation, which all serve to make an already beloved character even more endearing. It used to be the case that major annual events (like E3) were the first place to find out about huge game announcements, and that surprises remained surprises until then. How things change, especially now that people can take upload photos or documents or other leaked materials to the internet within a matter of seconds. The Tomb Raider franchise seems to have suffered this fate towards the start of November last year, in very similar circumstances to the widely publicised leak of Assassin’s Creed: Black Flag a few years back. In both cases, a member of the development team was spotted working on a laptop presentation for the new game on public transport. This time, key details appear to have been captured in a photo taken by a passenger on a Montreal subway train, who sneakily snapped an image of a Powerpoint presentation with full Shadow of the Tomb Raider branding. It’s now widely presumed that this will be the final instalment in the rebooted trilogy. Of course, it’s always possible that the photo was faked for whatever reason but, as with Black Flag, it’s widely expected that this will soon lead to an official announcement from Square Enix themselves. And that’s not all. Since then there’s been yet another leak, this time by American marketing firm Takeoff LA who recently posted branded logo treatments and a series of storyboard illustrations on their website’s ‘Previous Work’ section as a provisional case study. The images were hastily taken down, though not before one NeoGAF user managed to capture a high-quality screenshot of the page. Perhaps most intriguing are the illustrations, which give a very strong hint as to where the new game will be set. We can clearly see pyramids in the background, which indicates it could either be Egypt or, as many fans believe due to the shape of the pyramids, Central America. If you weigh up the consistencies between both separate leaks then it’s hard not to think that Shadow of the Tomb Raider is all but confirmed, albeit unofficially for the time being. It’s also why so many fans were expecting there to be some sort of announcement at E3 this year. Surely before next year? However you look at it, all the talk around the next game has certainly got us chomping at the bit for some quality Tomb Raider action. While we wait with baited breath for Square Enix to release more details on Shadow of the Tomb Raider (or, in fact, to confirm its existence in the first place) it’s a perfect time to reignite our love affair with Lara Croft across all available platforms – and there are probably more ways to do just that than you might think. Of course, you could always go back and play the original Playstation series and relive the wonder of locking your butler inside the infamous walk-in fridge. But the franchise has now expanded its reach to almost every conceivable platform, and oversees more spinoff games than ever before. Fans of iGaming now have the option to combine their affinity for high octane archaeology with quality online casino action. The Lara Croft: Tomb Raider online slots game is a prime example hosted over at Casumo, an online casino known for their regular joining offers. The Tomb Raider slots game combines a standard 5-reel format with mysterious artefacts, deadly tombs and plenty of other elements from the original Eidos Interactive video game series. Or, as you might expect with the mobile gaming industry currently growing rapidly year after year, there’s a bunch of Tomb Raider spinoffs currently available to download from the Apple and Google app stores. Perhaps the most popular example is Lara Croft Go, an engaging mobile puzzle game that has had plenty of glowing reviews since its release in 2015. Here, players have the opportunity to venture through tombs in search of treasure, and eventually find a way to get back out alive. Again, it fits well as part of the wider Tomb Raider universe, and enables you to get your Lara Croft fix while on the move. Even outside of gaming, we were delighted to hear that Warner Bros. have confirmed a new Tomb Raider film already in the making. The film will star Swedish Oscar-winning actress Alicia Vikander in the leading role, taking over from Angelina Jolie, and focuses on Lara’s search for her father in the years after his disappearance off the coast of Japan. It’s due to be released in 2018, though a precise date has yet to be confirmed. With so much activity going on in the Tomb Raider camp in general, it’s difficult not to feel that there’s a sense of revival in the air. Shadow of the Tomb Raider, in particular, is shaping up to be a big hit whenever it is released, and it will be interesting to see how the developers choose to sign off the trilogy. Will we see a darker side to Lara Croft? Will she find out more about her father’s disappearance, or her own origins? Or, heaven forbid, will she decide to give up all this tomb-raiding business once and for all? Hopefully not the latter, but right now all we can do is weigh up all possible eventualities just in case. Whatever happens, it’s going to be very interesting indeed.